Welcome to.....Holiday home - Farm holiday" Podere Fiorello"
.....is an ancient farm of the eighteenth century,renovated in Tuscany style in place which are nice apartments in a wonderful park, located in the heart of the Siena countryside, situated on a hill between Val di Chiana, Crete and the Val d'Orcia . Surrounded by woods, fields, vineyards and olive groves is ideal place to enjoy a peaceful holiday and relaxing in a dip in the pool, a walk in the woods among the deer or a ride on the rolling hills. 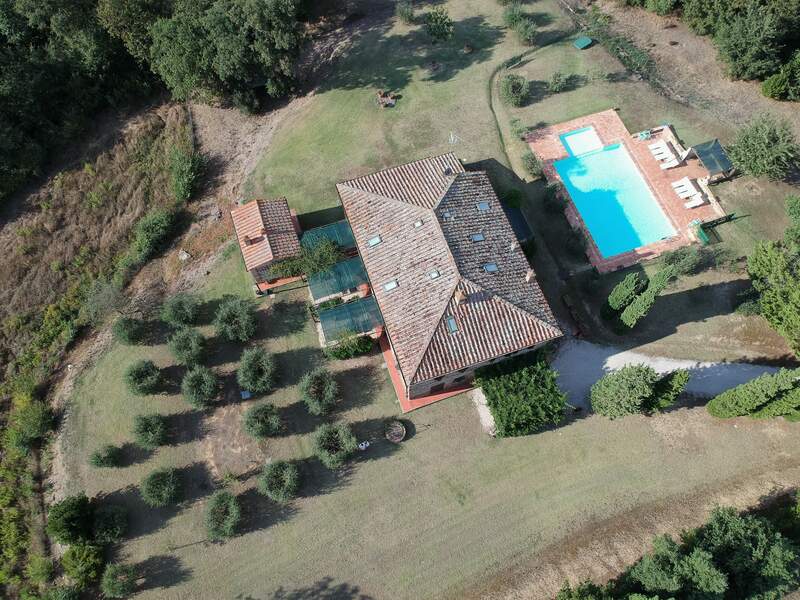 The property is located in a strategic position near art cities such as Siena, Perugia, Arezzo, which are easily accessible and only a few kilometers from renowned spas such Rapolano Terme, Chianciano Terme and Bagno Vignoni, the abbeys of Monte Oliveto Maggiore, Sant 'Antimo, San Galgano and art treasures such as Montepulciano (called "Pearl of the '500"), as well as Pienza, San Quirico d'Orcia and Montalcino. What's Nearby you can find where you can taste typical local dishes peasant with cheese of Pienza, extra virgin olive oil, sipping a glass of wine Nobile di Montepulciano, Brunello and Chianti And 'the authentic taste of Tuscany and you feel at home, this is the place to stay, you will leave a pleasant sensation of well-being, remember that you will stay in you will return. Be our guest for a week or just for a weekend.